Capital Gains Tax on Gold Bullion – Do I Pay This? What is Capital Gains Tax ? If your looking to buy CGT exempt gold and silver please click here. At this time of year tax, of one sort or another, is on quite a few people’s minds. We thought it would be fitting to touch on this often complicated, subject. We are not accountants , tax experts or financial advisors but we will give you the benefit of our knowledge and the information that we have acquired over the years. You can find more information on the Capital Gains Tax section of the HMRC website. View all of our CGT exempt products. Firstly, let us explain what Capital Gains Tax is. The ‘not so serious answer’ is that it is an irritating tax that takes the joy out of making some money when you sell or transfer assets. Of course when you sell you may not always make a profit and even if you do, you may still not have to pay any Capital Gains Tax ( I did say it was complicated ). At this current time capital gains tax is only payable if an investor realises over £11,700 profit from one financial tax year. This is only the profit and not the total sales value. For example if in 2016 you buy gold coins for argument sake worth £50,000 and sell them in 2018 for £61,700 you would only be required to pay tax on the £11,700 and not the total £61,000. Remember that you are allowed to make £11,700 profit so this means if this were a single transaction you could walk away with £11,700 taxfree. If however you sold more bullion (or other investments subject to the tax) that year and realised more profit that this extra money would be taxable. Please refer to HMRC's website for the exact tax free allowance as it does get reviewed on an annual basis as these are the rates for 2018. When you sell or dispose of your coins ensure the profit you make falls within your yearly allowance. If you know you are going to fall into this bracket, as previously advised, take advantage of lower premium products. Think about part selling, for example, sell a portion of your investment in one financial year and a portion in another year. If you make a loss on the sale of assets this can be set against any gains before making a final calculation. GOV.UK advise that bullion is classed as a chattel. They state that for Capital Gains Tax purposes a Chattel is a chargeable asset and that bullion falls into this category. However what do HMRC/Direct Gov class as bullion? Coins are to be regarded as currency only if they are legal tender at the time of their acquisition or disposal. Coins which are currency but not sterling, for example Krugerrands, are chargeable assets. 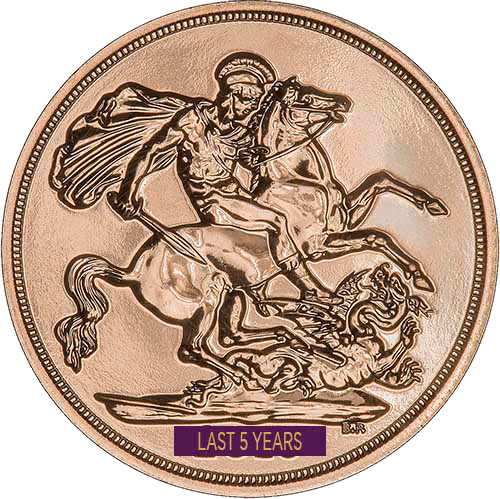 Sovereigns minted in 1837 and later years and Britannia gold coins are currency but, like all sterling currency, are exempt because of TCGA92/S21 (1)(b). Coins and bank notes which are sterling currency are not chargeable assets for CGT purposes, see CG12602. Coins and bank notes which are currency of the issuing country are not treated as chattels. CG78300+ tell you about the treatment of currency. A collection of coins or banknotes is unlikely to be regarded as a set. However, if it contains examples of all the values or denominations issued in one year or during one reign or government, these will, themselves, form a set. This last link states that coins and bank notes of the issuing country are not treated as chattels – we were under the impression that Krugerrands were currency of the issuing country! Therefore, according to the definition above, Krugerrands would not be treated as a chattel. This is contrary to what GOV.UK advise. All of the above highlights how confusing the websites are and is largely why some years ago we produced our own easy guide. When we created this page on Capital Gains Tax we were the only people who seemed to know anything about it, or had remembered about it. It was only some time after we published this page that The Royal Mint seemed to have discovered the same facts – presumably from our page – as did almost all of our UK competitors. As usual, you can often read and discover it on our websites first, before everybody else copies it. “Currency in sterling is not an asset for capital gains purposes. It is the unit by reference to which capital gains are measured”. This is good news if you have decided to dispose of your sovereigns (post 1837) half sovereigns, Britannias and other British gold coins, including the British Lunar series. As these coins are sterling they should be treated as exempt from Capital Gains Tax. You could dispose of these – make an unlimited profit – and this should not be counted as part of your tax allowance. This produces a great argument for investing in British coins. Therefore providing further coins which should be exempt from Capital Gains Tax. The majority of our competitors, however, seem to focus on sovereigns and Britannias. This tax is only payable if an investor realizes over their tax free allowance for that particular tax year, currently £11,700. The size and value of their investment will determine whether they will have to pay any tax or not. As from 6th April 2016, Capital Gains Tax rates are being reduced by 8% for both basic and higher rate tax payers. Those who pay basic rate income tax will pay Capital Gains Tax at 10% (down from 18%), and higher rate taxpayers will be charged Capital Gains Tax at 20% (down from 28%). This significant reduction appears to be a step to encourage more investment and is great news for investors. Remember it is only the profit made from the original outlay that is taken into account, therefore most small investors may never reach the Capital Gains Tax threshold. It should be borne in mind however that it is your overall gains that are taken into consideration. This can include the profits made from sale of non exempt bullion, property (the house you occupy is generally exempt), shares, land, and antiques. For further clarification it is always best to seek advice. In the process of writing this blog, I decided to do some research so that I could provide you with some relevant links. This proved to be quite an arduous task. The gov.uk website is confusing to say the least, it is extremely hard to navigate and contains an extensive amount of jargon. Finding information is made harder by the fact that half of the HMRC manuals have not yet been transferred over to gov.uk. After searching the gov.uk and HMRC websites for some clarification on a question I gave up and submitted a form to gov.uk for some direction. I received the following answer. I did as advised and after another hour or so on the phone to HMRC, I was still no nearer resolving the issue. We think Charles Dickens hit the nail on the head in his novel Little Dorrit, where he uses the term ‘Circumlocution Office’. Charles Dickens uses it to describe and parody the government bureaucracy of the day. Perhaps this is what H.M.R.C stands for today, “Her Majesty’s Robbery and Circumlocution*”? Do you have any interesting four letter acronyms for HMRC? The Isle of Man Angel, for example, is a bullion coin. Bullion coins are legal tender and their face value is equal to the current market value of the metal content in the coin. As the official currency of the Isle of Man is sterling you would deduce from this that the Angel would therefore be Capital Gains Tax Exempt. The Isle of Man Cat has a face value of 1 Crown, equivalent to 25 pence and the Isle of Man Sovereign has a face value of £1 sterling. These coins should all be Capital Gains Tax exempt.